Today we celebrate the birthday of David Watson Taylor (4 March 1864 – 28 July 1940), a naval architect and engineer in the US Navy. In 1898, Taylor was in charge of constructing the first experimental tank used to study water flow around models of war ships. Using the results from these experiments, he was able to create his lasting legacy – the ‘Taylor Standard Series’, a set of 80 models providing estimates of a ship’s flow resistance, given variations in ship design. 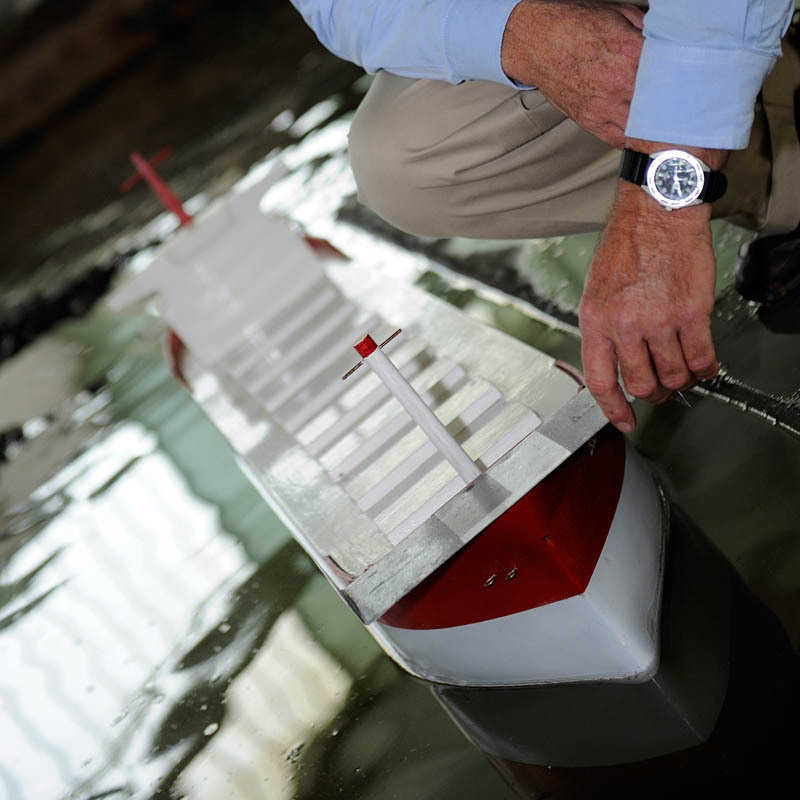 By studying water flow around model ships, David Taylor developed a series of equations to calculate the anticipated performance of a new ship design. While the Taylor Series is limited in the number of parameters that can be varied (it uses only three parameters – slenderness, beam to draft ratio, and prismatic coefficient), these variables are sufficient to provide useful preliminary estimates for most warships and and merchant ships built since Taylor’s time. Taylor’s greatest contribution was his insight that the above three parameters are, in fact, the main factor’s affecting ship performance. More than a century after its creation, the Taylor Series is still in regular use today, being built into a number of ship synthesis modeling computer programmes.